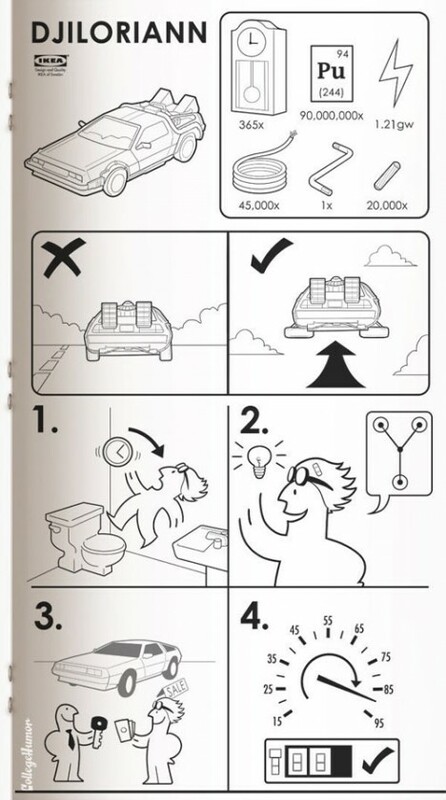 Whatever your sub-genre of science fiction, these marvelous manuals will help you assemble anything from your own space-and-time machine to a personal light saber. 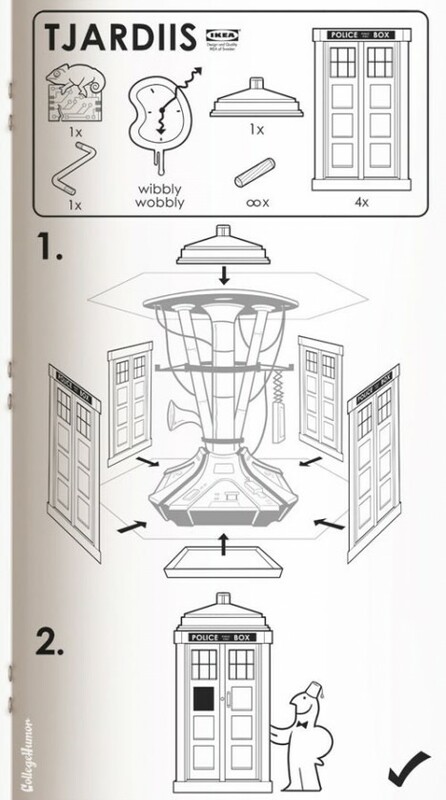 For starters, a little wibbly-wobbly and some timey-wimey along with an infinity or so of connectors and voila, instant Tardis (or TJARDISS if you prefer the Scandinavian name) just like The Doctor ordered. 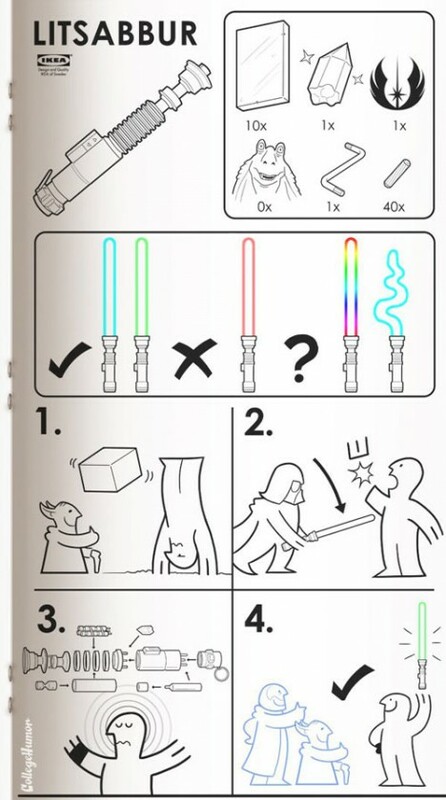 No Jar-Jar requiried to craft your own light saber (LITSABBER), but you may need help from The Force, a bit of training and some special crystals to put it all together. 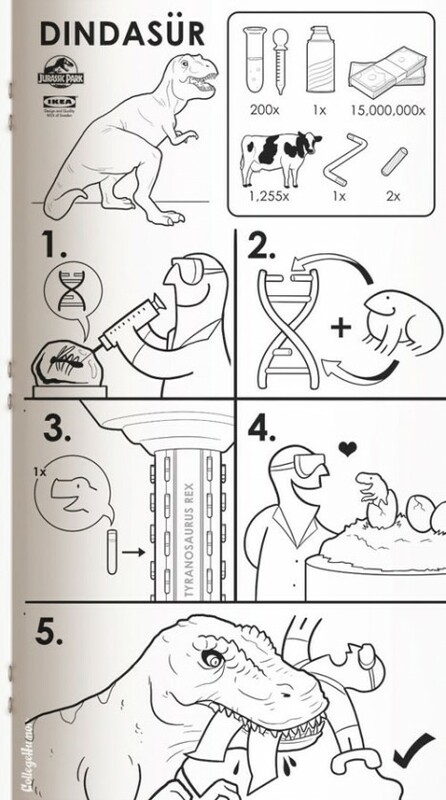 While we all know what happens if you try to make your own dinosaur (DINDASUR), it isn’t stopping them from making a new Jurassic Park (World) movie – this way at least you can play along and get eaten in the comfort of your own home laboratory. Finally, for those not sure about skipping about time and space in a blue police box, the Delorean (DJILORIANN) from the Back to the Future film franchise might provide a retro-stylish alternative – bonus: it can also fly!